I've been sitting on these photos a while now. So much has happened these past few months. My boyfriend and I (amicably) parted ways, my grandfather passed away and my day-job was dissolved. I've taken it all in stride and I'm ready to move on to new and exciting things! I'm applying to companies I feel passionate about and getting ready to potentially start an online store. 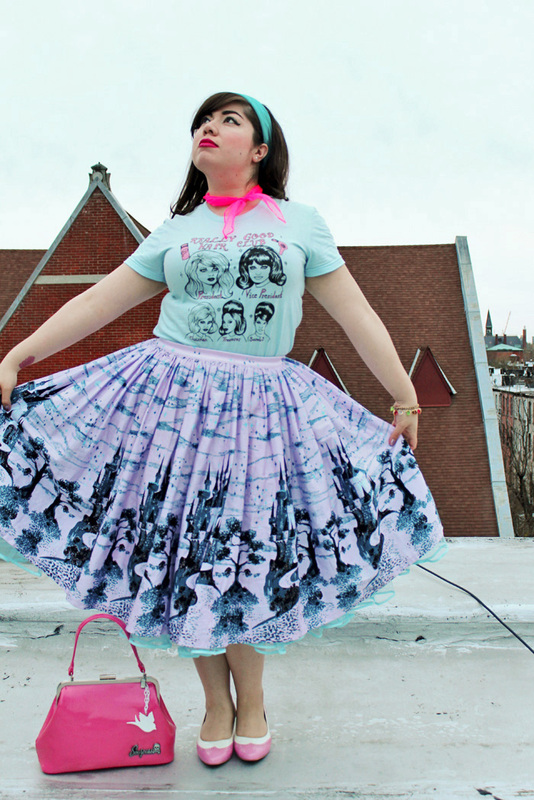 For today's post, I wanted to highlight the amazing skirt sent to me from Pinup Girl Clothing. 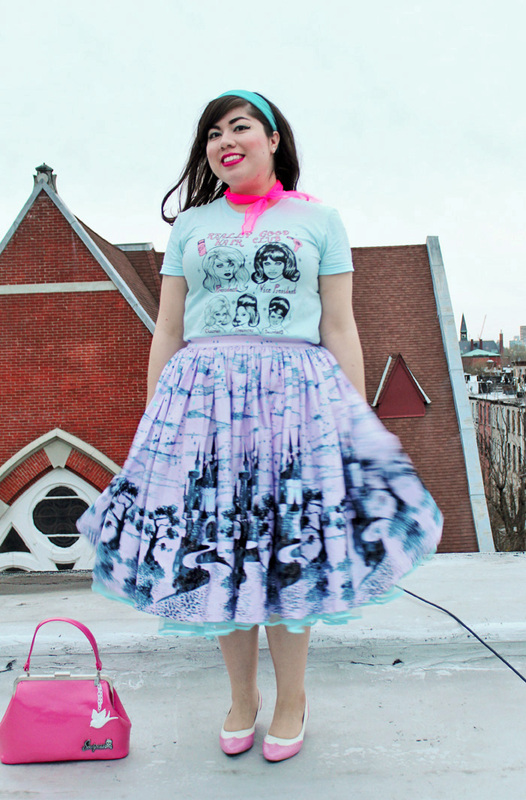 I've worn this skirt multiple times and its quickly become a closet favorite. This top photo was snapped earlier in the day. The rest were an attempt at using a tripod since my loss of a "regular photog." Jason still snaps some occasional shots like my recent bikini shoot. 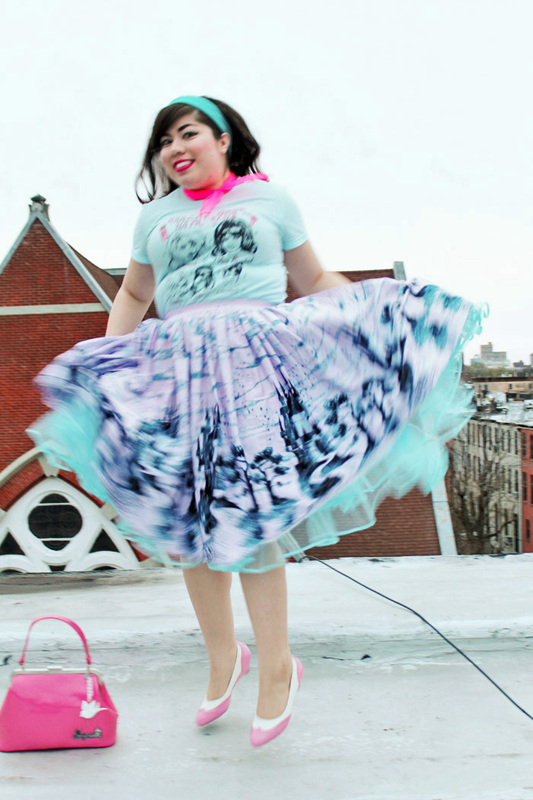 I have a dynamite Pinup Girl dress that might need that photographer eye. 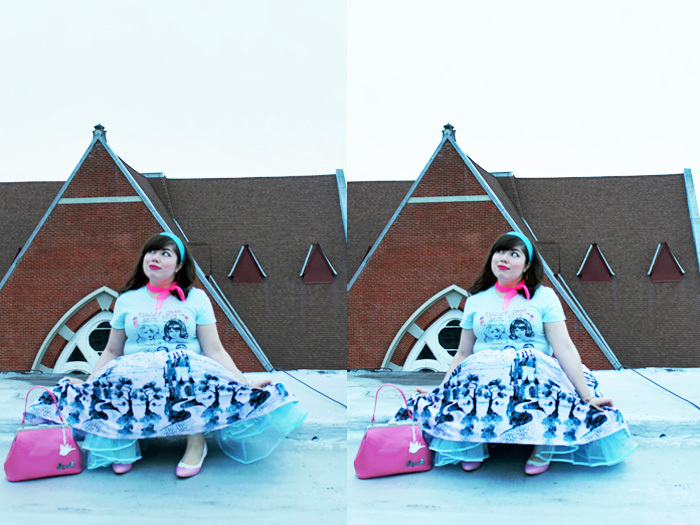 Forgive the weird colors in these photos. The lighting was super inconsistent and I did my best with edits. 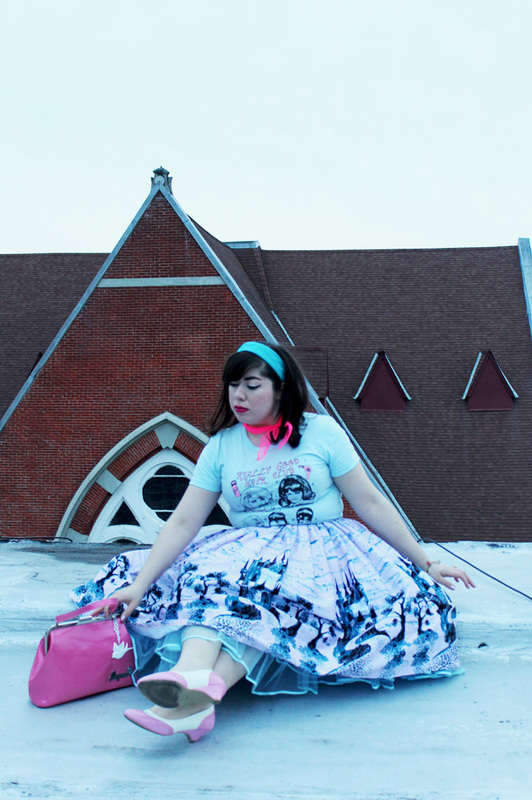 Otherwise, I think they came out pretty cute and show that whimsical side of my style. 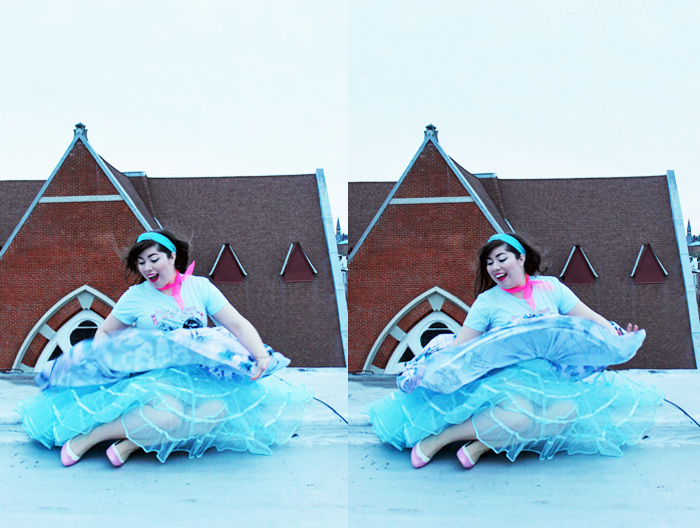 A recent Tindr date (lol) told me that my look is very "Disney princess," which I took as a high compliment. 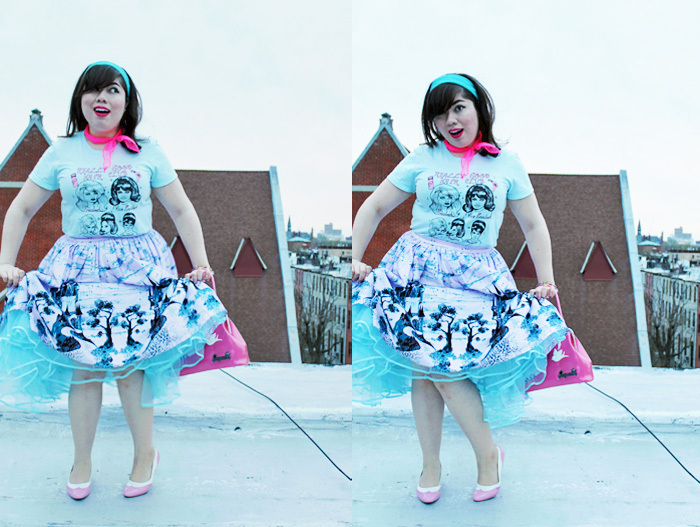 There's more Pinup Girl to come including more ways to style this skirt! 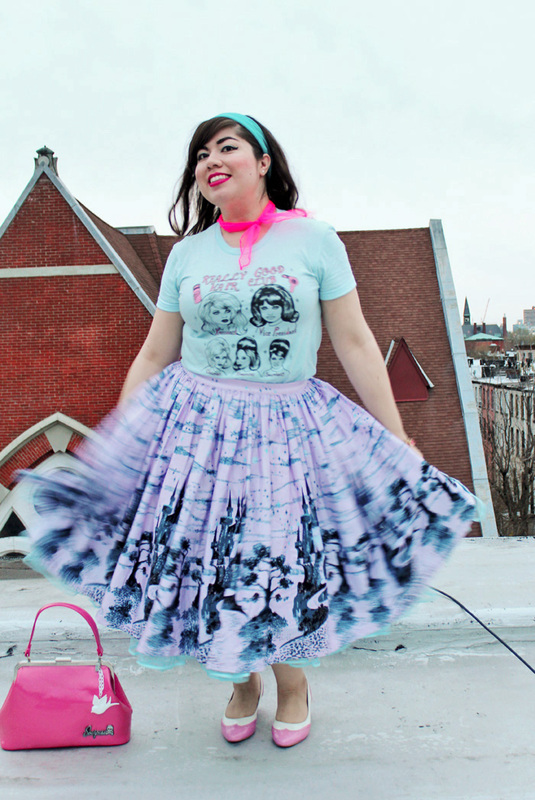 Thsi skirt is so perfect - I said it last time you posted it but I really need to wear my dress in this print. Summer Picnics With Fabulous Friends!